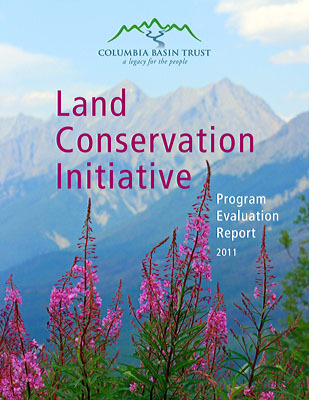 Orland Conservation was retained to conduct a land conservation program evaluation for the Columbia Basin Trust in British Columbia’s Columbia River Basin in 2011. The goal of the report was to provide a summary report and recommendations to enhance the success and future sustainability of CBT’s Land Conservation Initiative (LCI), a land conservation program established in 1999. Orland Conservation conducted interviews and surveys with various stakeholders in the Basin. The report also required development of a series of program recommendations to assist CBT with taking a much more active role in conveying the community service benefits and value that the program offers to the people of the Basin. The implementation of these recommendations will assist CBT with furthering its mission of social, economic and environmental well-being in the Columbia Basin through delivery of the LCI program along with the East Kootenay Conservation Program, funding recipients and communities in the region. Columbia Basin Trust is an organization dedicated to promoting social, economic and environmental well-being in the Canadian portion of the Columbia River Basin. CBT provides funding through various programs including the Land Conservation Initiative, which focuses on securing ecologically sensitive private land to preserve a conservation legacy for future generations.